Millions of people have food allergies that can range from mild to life-threatening. products and are happy to be able to offer products that are Gluten Free, including Soups, Breads and Cakes. 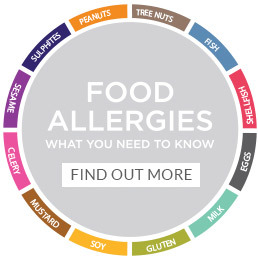 Please ask our team if you need more information on the allergens that may be in our products, or request a copy of our latest brochure which highlights items we stock which are Gluten Free.